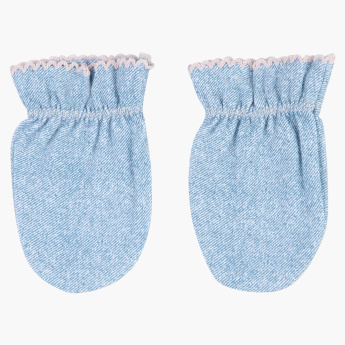 Sure to lend an adorable sight to any outfit, this pair of mittens come with delicate lace trims and will pep up your baby's charm. 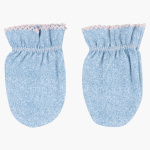 Boasting a subtle texture all over, the snug-fitting pair is apt to protect your darling's hands. 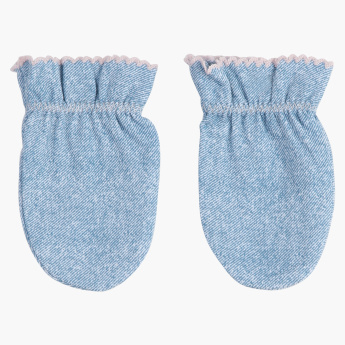 Features : Helps to prevent from accidentally getting scratches on baby delicated skin .